Most dental insurance plans offer a basic coverage of preventive dental care, which includes routine checkups/cleanings, gum disease prevention, as well as some maintenance care such as fillings and extractions. Many plans do not cover dental surgery, dentures or orthodontics so it is important to be aware of this if you are a patient in need of major restorative dental work. You will find that most dental plans only cover a portion of total costs of dental treatments in an attempt to offset your personal cost. Typically, your dental plan will require a co-pay and a deductible that must be met. A deductible is an out-of-pocket expense of a pre-agreed upon amount of money that you must pay before insurance companies pay for treatments and services. You must consider your plan’s deductible, co-pay and the amount of money that you must pay for dental procedures not covered under your plan when calculating your total cost of service. It is important to understand the limitations that each dental plan has in place. Such a limitation is a Waiting Period, or the required amount of time that a patient must wait between the start of your plan and the time you obtain major dental care such as crowns, bridges, etc. 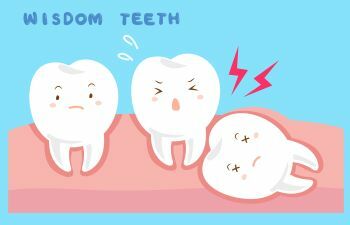 Another common limitation you may encounter is a restriction (or limit) on how many fillings, extractions, x-rays and cleanings you can have each year. Always ask for a clear explanation of the limitations your dental plan holds. There are basically two types of dental plans to be aware of – PPO and HMO. Dentists who belong to a PPO offer lower fees to patients. However, individuals belonging to a PPO must choose a dental provider from within a specific network of dentists. You can choose dentists outside of the provider network, but your co-pay will likely change. Patients enrolled in HMO plans are required to choose a dentist from within the network. Patients who use dentists outside of the network are required to pay that dentist’s bill in full. The staff of Mitzi Morris, DMD, PC proudly accepts dental insurance and they can file claims on your behalf, either by mail or electronically. There are many other terms commonly found in dental insurance policies that may need clarification, including capitation, reimbursement, and Flex Spending. Remember to rely on the professionals at your dental office to help you understand your entire insurance plan so that you can maximize your specific coverage. Taking advantage of the allotted preventative care coverage can save you from restorative dental work that may not be covered.